Austin is more than just our home here at SXSW – it has become a vibrant hub for innovation. People move here every day and join the companies that are thinking ahead to set the trends of tomorrow and pushing this city to the forefront of industries. To celebrate our hometown and the change being made here, we’ve pulled together some sessions during the SXSW Conference from March 10-11 in Hilton Austin, Salon K. They highlight some of the exceptional work being done in the Lone Star State. 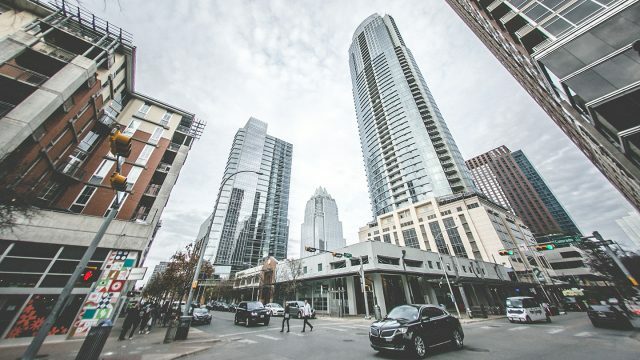 It’s no secret that Austin is known for its technopreneur scene, reaching all the way back to the founding of Dell Technologies in a dorm room at UT Austin in the 80s. But local entrepreneurs are taking it a step further by focusing on developing businesses that have a core focus on transforming lives with technology. Hear from Preston James, CEO of DivInc, Erik Day, Vice President at Dell Small Business, Mike McKim, Founder & Owner of Cuvee Coffee, and Tiffany Taylor, Founder & Owner of Tiff’s Treats Cookie Delivery, as they discuss how they build a social mission into the foundation of their business. Who and what is bringing the changes into Austin? Joe Nick Patoski, Writer of Austin to ATX, will moderate a panel with Sandra Adair, Film Editor of The Secret Life of Lance Letscher, Heather Brunner, CEO of WP Engine, and Aaron Franklin, Owner of Franklin Barbecue, where each panelist will represent and address the influence of their field. They will discuss the tensions, clashes, shared visions, and which element has brought about the greatest change that has made the Austin that we know today. Though partnerships between startups and corporations aren’t new, they are becoming more vital for success. Corporations must innovate to stay relevant, and a strong corporate partnership can often be a startup’s most valuable asset for growth. This panel, consisting of Sara Chapman, Director of Entrepreneurship Strategy & Partnerships at Dell, Karen Kilroy, Founder & CEO of Kilroy Blockchain, JD Weinstein, Head of Startup Ecosystem at Oracle, and Sabrina Wojtewicz, Co-Founder & Executive Director of Bunker Labs, will discuss how Austin-area companies are approaching innovation differently, what startup-corporate partnerships mean today, and how both startups and corporations can find the right fit. Human-centered design-led companies have cracked the code on change management by making their organizations more innovative, adaptable, and future-oriented, while still outperforming competitors on the S&P by over 200%. The operate differently due to their central mantra of innovation and profit being products of really “getting” human beings and their needs. But making the structural changes necessary to transition from a conventional business to a design-led one is challenging. Join Tamie Glass, Associate Professor at The University of Texas at Austin, Erin Hauber, Director of Human-Centered Design Practice at USAA, Karen Ngo, Senior Project Manager at C2 (Charles Schwab), and Julie Schell, Executive Director of Learning Design, Clinical Assistant Professor at The University of Texas at Austin, who are driving human-centered design efforts to shape the future across four distinct industry sectors: education, healthcare, finance, and advertising. Hear their expert tips and learn how they counter common pushback on innovation initiatives and are influencing the future workplace to generate revenue while simultaneously improving people’s lives. We don’t have to search far into the past to find the last public event that quickly escalated into a life-threatening situation. Austin is a youthful and progressive community that hosts many multi-day events that bring in tens of thousands of attendees into the city limits. However, these events create significant challenges for local public safety organizations that must ensure the safety and security of every event attendee. This panel will feature Richard Davis, Assistant Fire Chief of Austin Fire Department, Deborah Giles, Executive Director of Intel Corporation, John M. Jones, Division Director of Texas Department of Public Safety, and Jennifer Stephenson, Commander in the Austin Police Department, who will discuss how they use emerging technologies to better enable and prepare their organizations to rapidly respond to any type of public safety threat for events. Check out this Interactive Festival Highlight to help plan your Austin adventure. Use this Music Festival Adventure Checklist to plan out your time here in the city. Take a look at our Austin Film Festival Guide to maximize your experience between films. Whether you’re a native Austinite or you’re just here to visit, we hope to see you in March!